Our minds are addicted to making order out of chaos and finding patterns in noise. 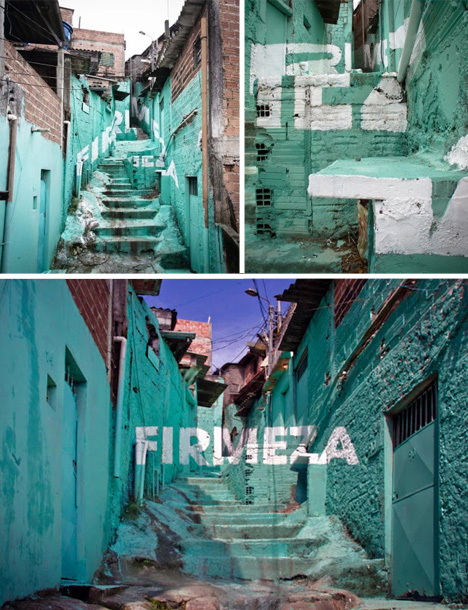 This stunning perspectival art project takes the wonderfully windy streets of São Paulo, Brazil and layers a new level of meaning on their walls. 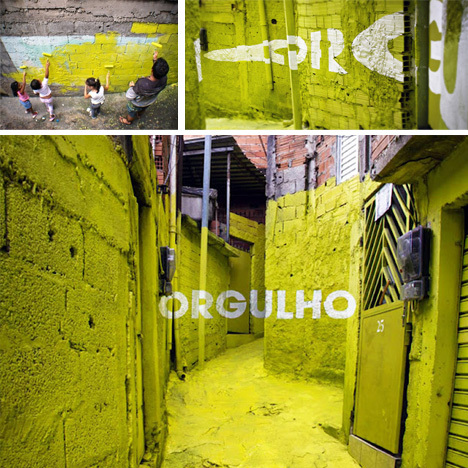 Boa Mistura is a Spanish art collective that engaged the community around this intervention. 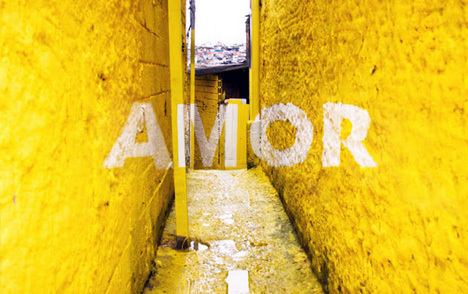 Helped by local families – children in particular – they painted words of hope and inspiration (including terms that translate as beauty, pride and love) that the observer must shift to see. 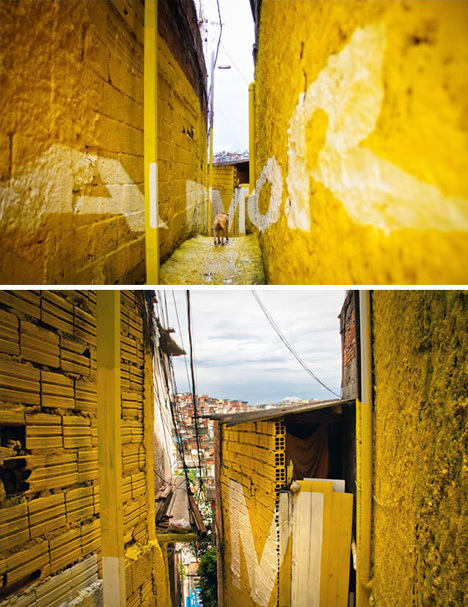 Each piece involves a single bold-colored backdrop on which one capital-lettered word stands out – in the photos, it almost looks unreal. 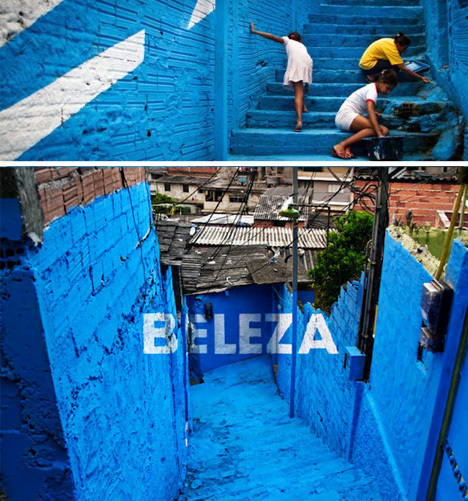 These 3D illusions break apart from anything but the perfect view, but in their deconstruction are also strangely beautiful and eye-catching – another dynamic element and splash of color in the complex streets and alleys of the city. 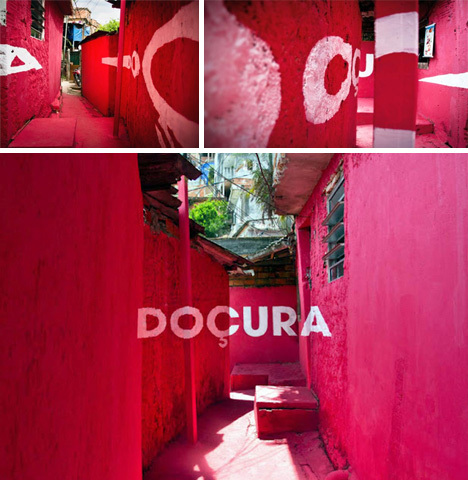 “Boa Mistura represents a mixture of perspectives which complement, influence and mix themselves together in order to create something better. 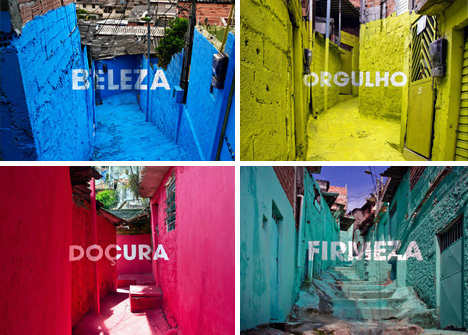 From graffiti and mural painting, to graphic design and illustration, Boa Mistrua want to give the world its colour back. 5 heads, 10 hands, just one heart.